OK, his last name is misspelled, but Kurt even showed up in the “30 Years Ago” portion of the “Olden times” section of the August 22, 1989 section of the Monterey Herald newspaper. An old friend sent him this clipping, and of course, Kurt saved it. The guy was a publicity magnet. According to Wikipedia, Judy Fiskin (born April 1, 1945 in Chicago, is an American artist working in photography and video, and a member of the art school faculty at California Institute of the Arts. Her videos have been screened in the Documentary Fortnight series at the Museum of Modern Art in New York, at the Los Angeles County Museum of Art, the Hammer Museum in Los Angeles, and at the J. Paul Getty Museum in Los Angeles; her photographs have been shown at MOCA, the Museum of Contemporary Art in Los Angeles, at the Getty Museum in Los Angeles, at The New Museum in New York City, and at the Pompidou Center in Paris. “Fiskin, a native of West L.A., received her bachelor's degree in art history from Pomona College and after a brief stint in medieval art at UC Berkeley finished her master's degree in 20th-Century art history at UCLA in 1969. The defining moment of her study there took place in a class taught by Kurt von Meier. Art dealer Fred Hoffman, art critic Merle Schipper and CalArts Provost Beverly O'Neill were in the same class. Von Meier's unconventional approach included taking students to the airport, where they would watch planes take off, or telling them to buy inexpensive TVs to throw off the end of the Santa Monica Pier. 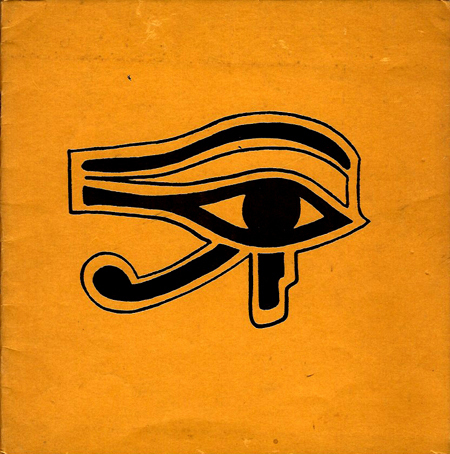 "In order to get us to think about how conventional symbols were used in popular culture," Fiskin recalls, "he assigned us each a symbol--mine was the heart--and had us get cameras. This is after six or seven years of art history and all this input of looking at images. I held the camera up to my face for the first time and thought, 'This is for me!' I think all that art history was that I really wanted to be an artist and didn't know how. The minute I held up that camera, I realized I could." 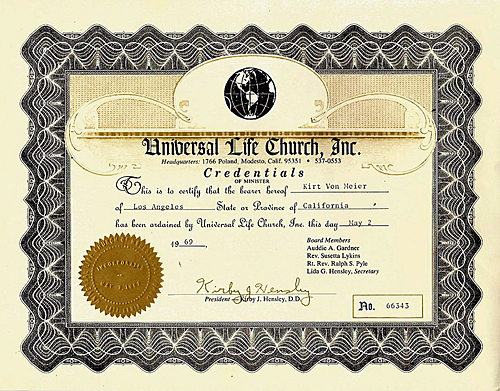 The Universal Life Church was founded by Rev. Kirby J. Hensley in 1962 and offered ministry credentials to anyone who applied and sent a small financial offering. Of course, Kurt became a member, and received Certificate No. 66343, date May 2, 1962 making him an ordained minister. Regrettably, his first name is misspelled “Kirt.” Included here is his certificate, a printed sheet with information about the Universal Life Church, and a panel from one of its newsletters. The church remains in operation. A booklet written by cyberneticist Heinz von Foerster was tucked amid Kurt’s archives, a document Kurt concluded was worth retaining. Entitled “On Constructing a Reality,” the twelve-page excerpt from a von Foerster address of 1973 puts forth the following postulate: “The Environment As We Perceive It Is Our Invention.” Von Foerster then goes on to make his case in support of this postulate. Heinz’ inscription to ”Walter and friends” refers to Walter (Clifford) Barney and Kurt von Meier. The booklet, in its entirety, is reproduced here. Kurt considered Ed “Big Daddy” Roth (March 4, 1932 – April 4, 2001) to be a significant artist. Roth created visions of the “hot rod” through cartoons, models and customized car creations, and burnished the image of the hot rod bad-boy through exaggerated, even demonic-looking characters. Kurt loved cars, especially “hot” cars like Ferraris and Maseratis, both of which he owned later in life. The “Firebird” illustration above was sent to Kurt by Ed Roth in 1968. Naturally, Kurt kept it, along with the note on its reverse side and the envelope in which it was delivered. In 1939, when Kurt was five years old, he and his family visited the Golden Gate International Exhibition on San Francisco Bay, what we today call a “World’s Fair.” By all accounts, Kurt’s mother Dorothy loved the exhibition, and that prompted several return visits. 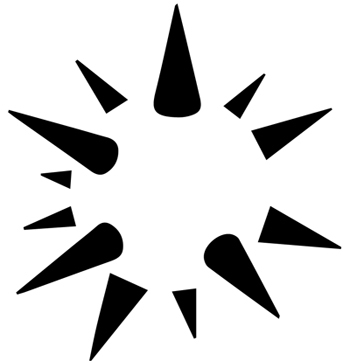 The von Meier family was living in Berkeley at that time. (Left: Julian and Dorothy von Meier in 1940). This guidebook was passed down from Kurt’s mother to Kurt’s sister Kathie, who made it available for posting on this website. 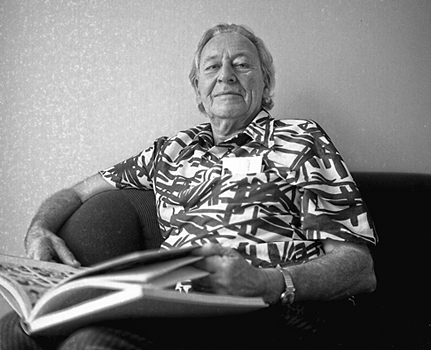 In 1972, Kurt’s later-to-be friend and Diamond Sufi Ranch resident, Walter (Clifford) Barney wrote a thesis about Gestalt Therapy while pursuing a Master’s Degree in Counseling. His collaboration with two friends became as much of the subject of his thesis as Gestalt Therapy itself—his documentation of their interaction a practical demonstration of the Gestalt process. Combining concepts with process documentation, this paper anticipated elements of what is conventionally referred to today as “mindfulness” training, bring attention to body-mind awareness. One of Kurt’s most prized—and well-used—possessions was his whale’s tooth pipe (actual size, 2 3/4” in length). Discolored by years of resinous smoke and oils from being handled, when “The Tooth” (as it was affectionately called) came out, it was an invocation of the sacred, and an indication of moving into the wild and intoxicated realm Kurt’s Dionysian self so enjoyed. Kurt’s friend Paula Reinking knitted a special “sock” to protect The Tooth, emblazoned with a depiction of an Amanita Muscaria mushroom, of course! Kurt was so intrigued with the imaginary number “i” symbolized by this expression he had a T-shirt made. Kurt had all sorts of T-shirts in his wardrobe—ranging from declarative to contemplative—yet another dimension of his expressive personality. The same was true of hats, and for that matter, socks, shirts, pants, belts and so forth. Not the type to just throw on anything, Kurt thought about how he dressed, and had the closet of a clothes horse. In September of 1975, Benchen Radha Tulku, also known as Lama Chime Tulku Rinpoche, visited Kurt's Diamond Sufi Ranch for a week-long retreat. (Above left: Chime Rinpoche in the late 1970s; above right: Chime Rinpoche in 2010) The Ranch was often host to teachers and healers of various traditions. Born in 1941 in Kham, Tibet, Chime Rinpoche was one of the first of the Tibetan Lama's to begin teaching in the West, and as Lama in the Kagyu-pa school of Buddhism was associated with HH the 16th Karmapa. Here is a segment from one of his first talks--on the Four Noble Truths--and his conversation with retreat participants. This is a portion of the flyer announcing Lama Chime’s teaching retreat in 1975 at the Diamond Sufi Ranch, which the Lama re-named Samten Chuling. In this essay, Kurt's longtime friend and Vajrayana Buddhist practitioner Joe Duane generously provides some background about the Shen Yantra (above) which occupied Kurt's devoted attention and appeared on the poster promoting the exhibition of his teaching collection. Joe explains the origination of the Yantra in Bon (pre-Buddhist) Tibetan ritual, and its underlying role in the construction of ritual sand mandalas. Jene LaRue's "The Meanings of Mythology"
Jene LaRue (pictured above), one of Kurt's partners in the Diamond Sutra Restaurant, was a fellow-Princetonian, and went on to become a professor of classics. This paper, The Meanings of Mythology, encapsulates Jene's view of mythology, its origins and its continuing influence on modern life. Filled with interesting and valuable insights, the paper's ideas can also be seen in Kurt's writings. Kurt authored some commentary on Jene's essay. Both Jene and Kurt looked through--not just at--society and human activity to the divine in action. The link below will open Jene's paper in a new window, and can be printed as a PDF.